March 5, 2018, Adrian, Michigan – The Adrian Dominican Sisters’ Portfolio Advisory Board (PAB) continues its 43-year-old mission of socially responsible investing with a new structure and staff. 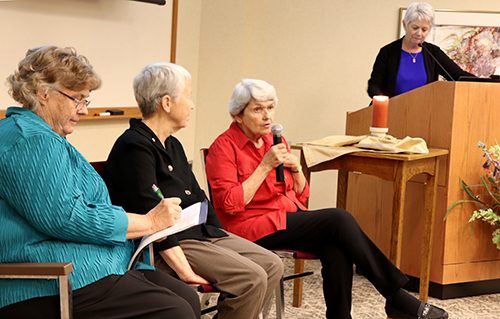 The changes were outlined in a recent presentation to Adrian Dominican Sisters living on the Motherhouse campus. 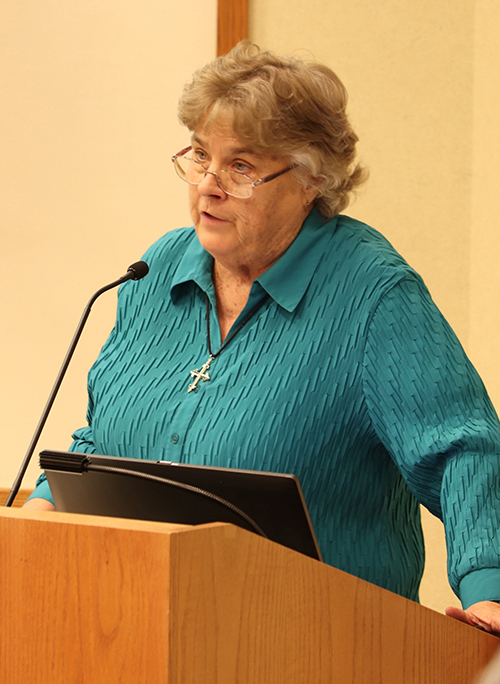 Much of the presentation focused on the new structure of the PAB, which was put into place after the December 2016 retirement of Lura Mack, long-time Executive Director of the PAB. Most recently, Dee Joyner, Chair of the PAB at the time, was asked to serve as director of the Congregation’s new Office of Resilient Communities. This office was established to help the Congregation live out its 2016 General Chapter Enactment to “facilitate and participate in creating resilient communities with people who are relegated to the margins.” Dee, an Adrian Dominican Associate, had served as Vice President of Commerce Bank and Economic Developer of St. Louis County, Missouri. While she is no longer the Chair, her new position involves overseeing the PAB. The PAB is now headed by Co-chairs Rosemary Martin, former Chair of the Community Investment Committee, and Kathy Woods, former Chair of the Corporate Responsibility Committee. The two committees – now working as one streamlined Board – represent the dual functions of the PAB. In introducing the two new Co-chairs, Dee noted the “wealth of experience” they bring to their new role on the PAB. 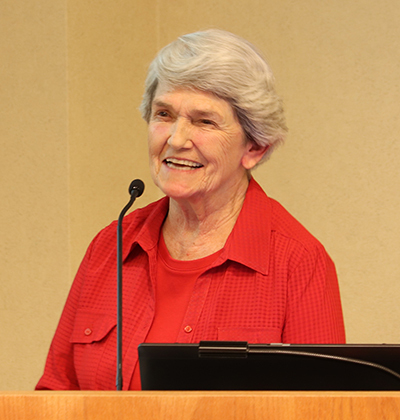 Kathy, a former Adrian Dominican Sister, was one of the founding members of the PAB, with extensive experience in not-for-profit organizations, particularly hospital work and counseling. Rosemary, an Adrian Dominican Associate from North Carolina, also has been involved in the non-profit world. She founded and directed an international adopting agency, placing more than 2,000 children from other countries into loving homes in the United States. She now works for an accreditation company for service organizations. In both corporate responsibility and community investments, the PAB collaborates with other communities of women religious. Pat Zerega, senior director of shareholder advocacies for Mercy Investments, works with the PAB in the area of corporate responsibility. The PAB also collaborates with other members of the Interfaith Center on Corporate Responsibility in working with corporations to help them to be more socially responsible in their actions and policies. 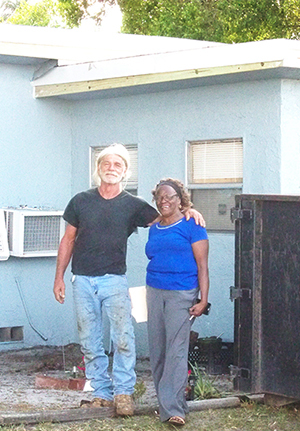 Since the retirement of Lura Mack, who did much of the work with community investments, the PAB sought the help of an organization that could help in that area. 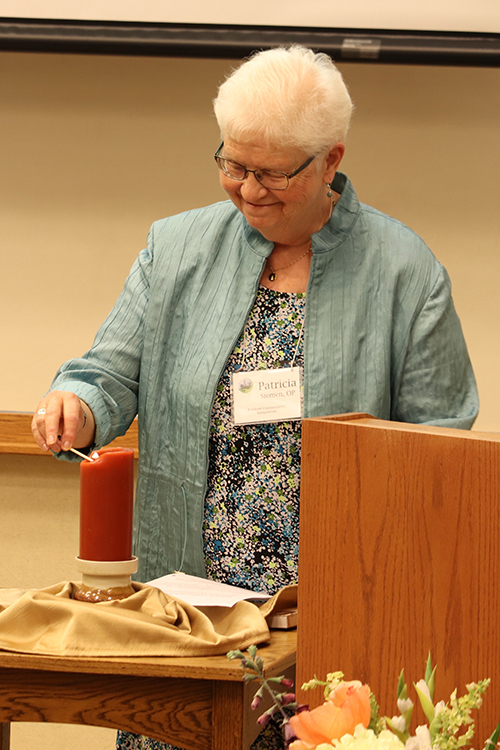 Members of the PAB unanimously chose the Religious Communities Investment Fund (RCIF), founded and directed by Adrian Dominican Sister Corinne Florek, OP. Kris Cooper, Office Manager, has served the PAB on the staff since 2013. 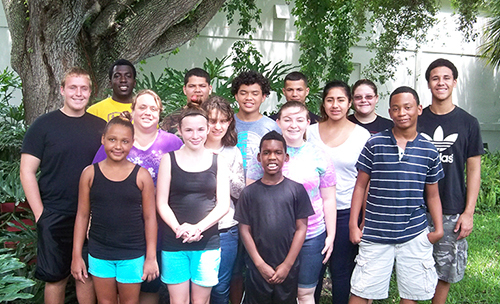 Other members of the PAB are Sister Patricia Leonard, OP, Associate Director of St. Ann Place, a homeless hygiene center in West Palm Beach, Florida; Sister Marilín Llanes, OP, school psychologist in Joliet, Illinois; Lloyd Van Bylevelt, an Adrian Dominican Associate who serves at the Peace Education Foundation in Miami; Marcy Brown, Vice President in Commercial Treasury Management at First Federal Bank in Adrian; and Margaret Weber, who works for the Basilian Fathers in Toronto in the area of socially responsible investment. 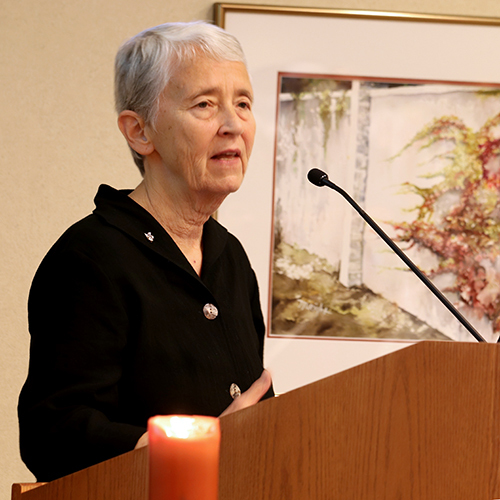 Sister Elise García, OP, is the General Council liaison to the PAB. Pat Zerega and Adrian Dominican Sisters Judy Byron, OP, and Corinne Florek, OP, serve as consultants.